START YOUR STOCK CAR RACING ENGINES! 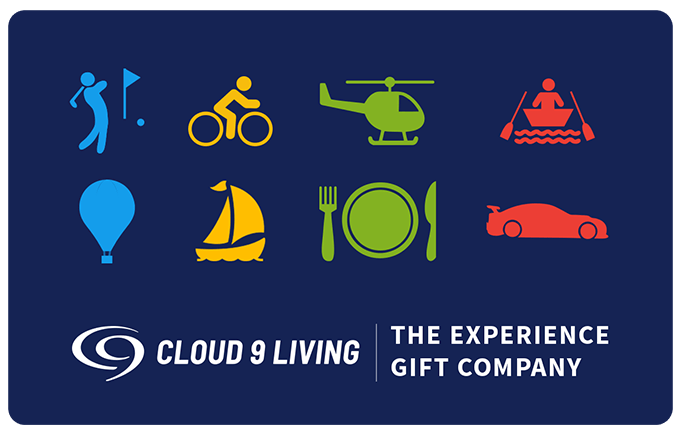 Cloud 9 Living's New York stock car racing experiences go the extra mile to bring lifelong memories! When the need for speed strikes and just can't be satisfied on the city streets of NYC — check out Cloud 9 Living's collection of rubber-burnin' racing experiences. Hop into the hottest stock cars to hit the asphalt of the legendary Pocono Raceway! There's no better way to appreciate the sheer power and performance of a real, Sprint Cup style stock car than from directly inside of it. Hop right behind the wheel to drive a stock car at Pocono, getting a first-hand feel for zipping a 600-horsepower engine around the same turf raced by the NASCAR greats! All driving participants enjoy a training session to learn the fundamentals of stock car racing prior to hitting the track itself. Detailed exposure to topics like driving lines, track geography, safety protocol, communication strategies, acceleration and braking give drivers just what they need to confidently control vehicles as they navigate the track for the drive of a lifetime! Then it's time to suit up in racing gear, take a demo lap of the track in a crew van, and rev some serious engines on pit road to let the ultimate New York stock car racing experience begin! Want an entirely different perspective of the 2.5 miles of the "Tricky Triangle"? Experience mind-boggling speeds directly from the passenger's seat with a stock car ride along on the Pocono Raceway! Strap in and hang on tight as a professional race car driver rockets the car down straightaways and around curves at up to 150 MPH. Enjoy the most riveting ride ever to hit speed limit-less territory! 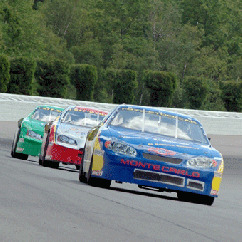 There's no better pit stop than Pocono for New York stock car racing experiences! When it comes to embracing the full NASCAR racing experience, Pennsylvania's renowned Pocono Raceway is the place to be! Boasting a vibrant atmosphere of revving engines, checkered flags, cheering spectators, hot asphalt, the scent of exhaust, vendors and concessions, photo ops, and much more — Pocono Raceway is a sought-after destination for race day. And that goes for both the professional circuits and public participation alike! Often referred to by race car drivers and spectators as the "Tricky Triangle," Pocono is one of the most geographically unique superspeedways in the United States. Its 2.5 miles of asphalt strays from the traditional D-oval track shape utilized by most stock car racing experiences; instead, it implements a series of three sharper 'curves,' thereby giving way to its nickname. Each of these curves is shaped to mimic a turn that's part of three other famous tracks used for stock car races: the Indianapolis Motor Speedway, the Milwaukee Mile, and the former Trenton Speedway. Integrating the three of these into one track means professional race car drivers are presented with a unique challenge when taking on the Pocono Raceway: each straightaway of the track is a different length. As a result, this adds a fun and challenging dynamic to racing speeds, acceleration, braking, crew operations, and driving lines — making for intriguing elements of stock car racing that traditional D-oval tracks are unable to deliver.